HAL Aerospace Museum (aka Heritage Center and Aerospace Museum) is located on Airport Road, 8KM from MG Road and just 1.5KM from Airport. Hours are 9AM to 5PM, Saturday & Sunday Closed. The location is within Hindustan Aeronautics Limited (HAL) premises and it was inaugurated in 2001 as India’s first aerospace museum. Adult (over 12) ticket pricing is Rs 55 and children are fee. There is limited parking in front of the facility. The main hall (Hall-1) has a good photo exhibition of HAL’s growth from the 1940s in chronological order at the entrance.. During World War II, allied air-crafts were serviced here and that marked the start of present-day HAL. The hall has a circular design with several rooms highlighting HAL’s achievements by decade, starting from the 1940s. 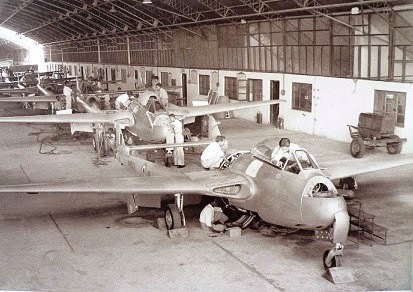 B&W photographs of the assembly lines of Vampire and the GNAT fighter aircraft, the mainstays of Indian Air Force during the early wars that did India proud are very special. benefits to society from aeronautical science & technology. The second floor has two flight simulators. Our kids tried it but were disappointed - it is a lame video game not comparable to what is now available in Nintendo and Xbox consoles. The ground floor also has some air-crafts/models on display. 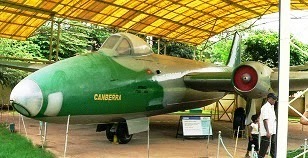 They include the Basant HA-31 indigenous aircraft of the 1970s (agricultural use), the Pushpak indigenous aircraft of the late 1950s (for flying clubs), models of Vampire and Light Observation Helicopter (LOH), and a parachute ejection system. The ATC (Air Traffic Control) tower shows the history of navigation. The tower also has sweeping views of the surrounding including the airport runway. 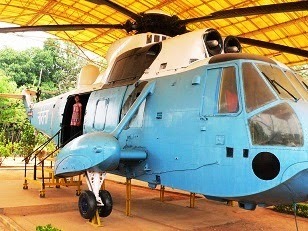 The Sea King MK 42 Indian Naval workhorse helicopter from 1969 till date: Visitors are allowed to enter this helicopter and sit on the cockpit. Manufactured by GKN Westland Helicopters, UK, the roles include anti-submarine warfare, search and rescue missions, casualty evacuation, search and strike, and cargo carrying and troop transport. Highlights from the outdoor exhibits include the Lakshya pilotless target drone, Ajeet fighter aircraft (variation of the British Gnat built under license), the Canberra bomber, Advanced Light Helicopter, the De Havilland Devon HW-201, the Hansa indigenous training/sport/hobby composite light aircraft designed and developed by National Aerospace Laboratories of Bangalore, the Kiran trainer aircraft (basic jet liner with the Rolls Royce Mk11 engine), the PSLV heat-shield, and a GSLV (Geo Satellite Launch Vehicle) 1:10 model. The premises also a canteen but there is very limited fare on offer here - chocolates, soda, and a small selection of other snacks. A gift shop that existed before has since been closed. 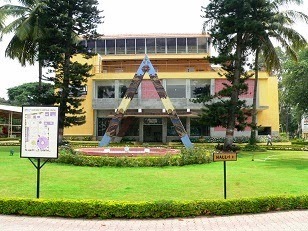 Overall, the museum is a nice place to spend a few hours while in Bangalore. The place is not very popular for some reason and so is usually not crowded - an added bonus! Lalbagh Gardens & Viswesarayya Museum, Bangalore - Review. 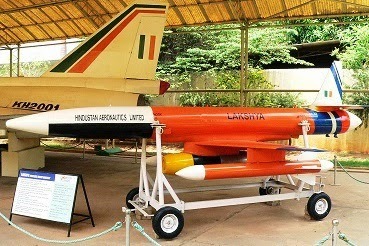 HAL Aerospace Museum, Bangalore Review.